When the new Leica SL was introduced, one aspect of the camera was specifically mentioned a lot, the fact that the camera was designed form the ground up to withstand even the toughest of professional use. The specs definitely support those claims. But does that mean that Leicas in the past have been lesser cameras in this respect? 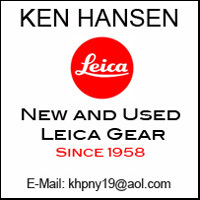 Over the years we have learned of quite a number of incidents which definitely prove that Leicas have always been among the toughest of cameras on the market. For instance there is the Leicaflex SL Mot which survived a very special “crash test.” The American photojournalist Mark Meyer had received permission to accompany the pilot in a Phantom II fighter jet over the Mojave desert. His mission was to photograph other fighter planes in flight. At an altitude of 26,000 feet his pilot flew just below a McDonnell Douglas F-4 when the jet above them suddenly lost speed and crashed into the plane Mark Meyer was in. Fortunately everyone was able to escape with their ejection seats. Mark Meyer was not able to keep a hold on his camera and it fell 26,000 feet to the ground. It wasn’t until a year later when a hiker found the camera. It obviously was not in the best of shape, Luckily the camera back had stayed shut. After some difficulty, he was able to pen the camera and found a roll of Kodachrome. He took the film to have it developed. He hoped to be able to determine who the owner of the camera was. 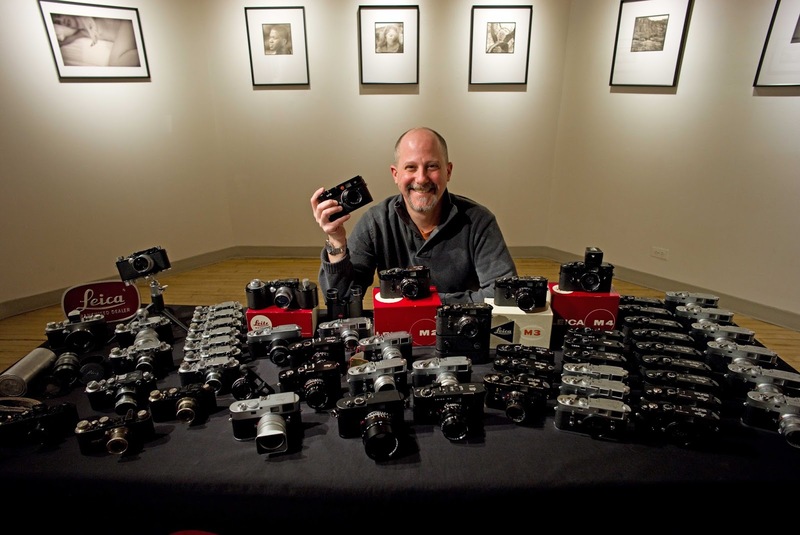 With the help of a local Leica rep the camera eventually made it back into the hands of Mark Meyer. Leica determined that the camera could actually have been repaired. However, they exchanged it with Meyer for a new one and kept the battered camera as an example of how tough Leicas actually are. The Leica SL Mot after falling 26,000 feet. There was obvious damage to the 35mm f/2 Summicron. After prying the camera back open to retrieve the film, it cannot be closed any longer. In addition, the some of the parts which couple the motor to the camera had been torn off. 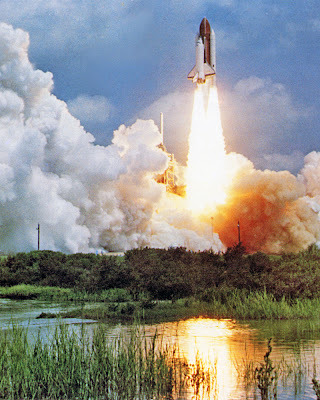 Even though the era of the space shuttle has come to an end, there still is a certain fascination with the achievement of the shuttle program. Below is an account of one of the launches where the only useable photographs were made with Leica equipment. Several hundred press photographers were present at Cape Canaveral for the fourth flight of the space shuttle Columbia. At the cape NASA will not permit photographers any nearer than three miles from the launch pad, because of the enormous power generated during the launch. When the space shuttle takes off, it generates seven million horsepower, a noise level 1,000 times louder than a 747 and a temperature of 6000ᵒF. However, remotely controlled cameras are allowed within 1,000 yards of the pad. The area in which the cameras are located is a swampy one. 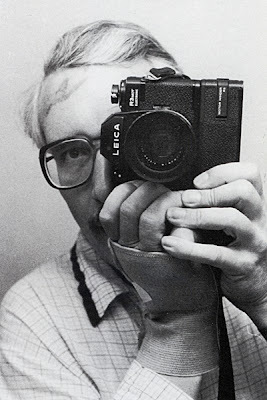 It was there that David M. Tenenbaum, Photographer for the Associated Press, placed his Leica R4 with APO Telyt-R 180mm lens, along with two other 35mm SLRs. In the company of all the other press photographers, Tenenbaum set up his cameras the day before the launch. About an hour after everybody had arranged their remote camera installations, Cape Canaveral was hit by a ferocious thunderstorm with 50 mph winds, hail and torrential rain. When the storm was over Tenenbaum and his fellow photographers went out to check their cameras. He recalls, “The water level was about eight inches higher than just three hours before. And my tripod with the remote control box and three cameras all wrapped up in plastic was blown over and lying in the swamp water.” After drying off the cameras, only one of them, the Leica R4, still worked and showed no evidence of water in the lens. Tenenbaum replaced the other two cameras with a Leicaflex SL MOT and another 35mm camera. It rained again briefly before the launch but all else went well. When Tenenbaum recovered his cameras all had triggered properly. Both Leicas were fine; the other camera had condensation in the lens. The Leica photos were excellent and were widely published. As Tenenbaum reports, “Of all the cameras AP had access to, my Leicas made the only useable negatives.” Thirteen of the other camera makes were damaged, some beyond repair. “Total damage to the press corps cameras had to be beyond $100,000. And my R4 and Leicaflex had no problems and no lens condensation.” Every non-Leitz lens he examined experienced condensation between the lens elements. 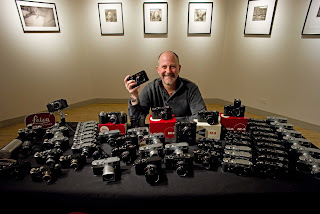 Tenenbaum sums up his experience: “It was nice to have the occasion to clearly see the advantage of Leitz gear and the edge it gave me over everyone else…"
a special production run of Leica M4s, dubbed the KE-7A, was made for the US Army? To this I can add a personal account. I was shooting an architecture assignment for a client. As with most of this type of photography, especially indoors with available light, I used a tripod. This tripod is a rather compact Gitzo model for easier transport, about 2 feet tall without any of the legs extended. I have no idea how this happened, but trying to attach the camera, a Leica Digilux 2, it slipped out of my hand and fell at least three feet down onto a concrete floor. That makes a rather ugly sound. I picked the camera up, quickly checked its functions and proceeded to shoot the assignment. All worked well and the camera has continued to work without any flaws to this day. But there are also accounts of disasters that even Leicas were not able to withstand. A new Leica M6 in contrast to a Leica III which was found in the remnants of the airship Hindenburg after it was destroyed by fire at Lakehurst, New Jersey in 1937. Also found were these two Leica cameras, a 35mm f/3.5 Elmar and a no longer identifiable telephoto lens. The extremely high temperatures of the fire melted the front element of the telephoto lens. This Leica I was at the bottom of the Baltic for over none month after the sinking of the tall ship Niobe in 1932. 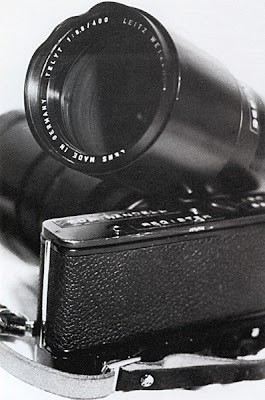 The salt water affected mainly the lacquered metal parts of the camera and it destroyed the viewfinder of the camera. These are the souvenirs from the completely burnt out car of English photographer Roger Hutchings His assignment was to photograph at unrest in Brixton / England, where his car was overturned and set on fire. The burnt Summicron 50mm f/2 mm has retained its shape while the lens of another cam era manufacturer just a melted to an unrecognizable lump. The French photojournalist Eric Valli was shooting an assignment in Nepal when his Summilux 80mm f/1.4 fell 250 feet down a mountain. The dents on the front of the lens are obvious and the aperture ring was difficult to rotate. By contrast, the seven elements of the Summilux have survived the fall undamaged. Leicas can also be a life saver. 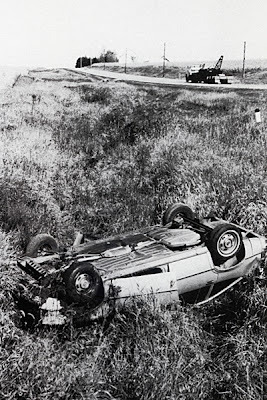 A shot, which was meant for the photographer during World War II, hit his Leica II. The photographer survived, the camera unfortunately did not. Many more stories about the legendary toughness of Leica cameras exist. I thought it would be interesting to list some of them here. Do not exagerate. They used to be durable (M3 and Leicaflex) but for sure they were not Nikon F.
Where is the exaggeration? Are you implying the photos in the article are made up? Don't pay any attention, this seems to be a typical Leica hater. Considering that the Nikon F was entirely based on a combination of Zeiss Contax and Leica, he shouldn't squawk too loudly about a camera that got its start by blatantly copying other manufacturers. In what way is the Nikon F based on a Zeiss Contax and on a Leica? Both were rangefinder cameras while the Nikon F was an SLR.